JDS Architects together with KLAR, Creo Architects and Sloth-Møller engineers, have won first prize for the new Faaborg Harbour Bath in the south of Fyn, Denmark. 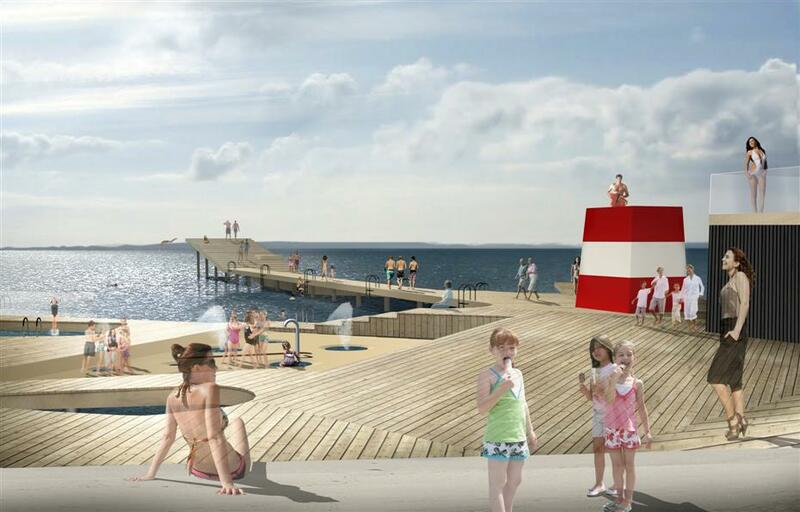 The concept of the bath is based on the idea of creating an open sea bathing area with piers branching out seawards creating swimming areas between them. The wooden piers form ramps, stairs, sitting opportunities and small pools for children. 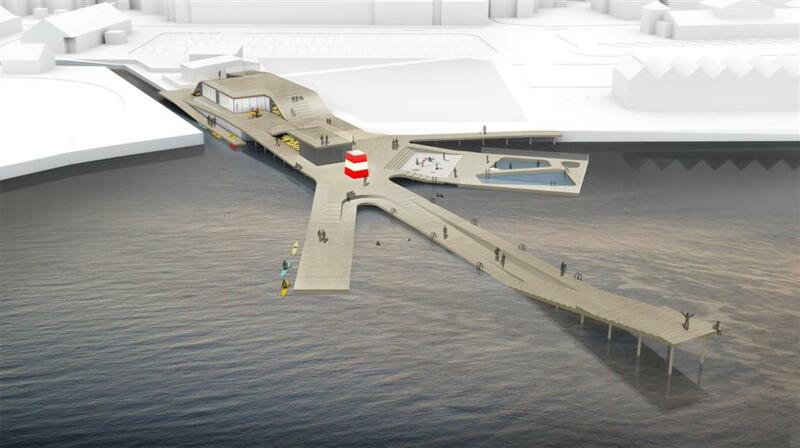 The Harbour Bath has changing rooms, a sauna and a 300 m² meeting point for boat tourism on land.